New polling found that almost a third of respondents have switched their preference in favour of a closer relationship with the EU after Brexit. Membership of the European Economic Area, known as the “Norway model,” is now the most popular Brexit option, with 43% of Brits in favour, up from 38% last year. Under a Norway-style deal, the UK would effectively stay in the single market and continue to follow all of its rules, including the free movement of people. Supporters of this form of Brexit say it is the best way of preserving the Irish border and frictionless trade. 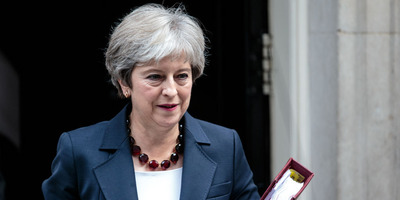 LONDON – Support for Britain retaining a close relationship with the European Union is increasing among both Leavers and Remainers as Theresa May moves towards agreeing a Brexit withdrawal deal, new polling has found. The research, by the Policy Institute at King’s College London, RAND Europe, and Cambridge University, followed up on a 2017 study to assess whether public opinion on Brexit has changed. 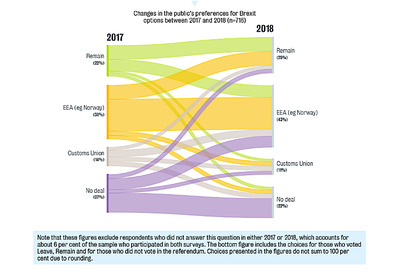 It found that almost a third of respondents have switched their preference in favour of a closer relationship with the EU after Brexit, while a fifth opted for a more distant relationship, and half did not change their views. Jonathan Grant, Professor of Public Policy at King’s College London, said: “As we approach the cut-off date for finalising a Brexit deal, it appears that more and more people are seeing a close relationship between the UK and the EU as a good thing. What is the ‘Norway model’? The Norway model is based on two key European organisations: The European Free Trade Association (EFTA) and European Economic Area (EEA). Norway, along with Lichtenstein and Iceland, is a member of both. EFTA is made up of the three aforementioned countries, plus Switzerland. All four trade between themselves and the group as a whole has signed free trade deals with numerous non-EU countries, Canada, Mexico, and others. The EEA, on the other hand, is a collaboration of all EU member states plus Norway, Lichtenstein, and Iceland. All EEA members – including the non-EU members – enjoy full access to the European single market. EEA membership is only available to either EU or EFTA member states. So, under a Norway-style Brexit, Britain would leave the European Union, join EFTA, and then become the 31st full member of the EEA. What are the pros and cons of the Norway model? Being an EFTA-EEA country would allow Britain to maintain full to the single market. This would remove the need for numerous costly border checks and go some way to preserving the invisible Irish border. This arrangement would also include single market treatment for services, which account for around 80% of Britain’s economy. Most research suggests this would be the least damaging form of Brexit. The government’s own impact assessment found the Norway option would be the least damaging option in terms of economic harm. And although Britain would retain full single market access, it wouldn’t be forced to sign up to some of the EU’s more contentious programmes. It wouldn’t be required to join the EU’s Common Fisheries Policy, for example, which has long been a bugbear for many Brexiteers. It would also be exempt from the Common Agricultural Policy. And what about the much-debated European Court of Justice? Brexiteers are determined to abandon the EU’s supreme court, after all. Under the Norway model, the ECJ would have no jurisdiction over Britain. Although Britain would finally be free of the ECJ, it would be obliged to dock to the EFTA court – which to most Brexiteers would merely represent another set of unaccountable, interfering foreign judges. Then there’s the issue of Britain’s influence as an EFTA/EEA country. Under the Norway model, Britain would have full access to the single market but retain much less say in shaping its rules than it does now as an EU member. “Pay with no say” is how critics of the Norway model describe this. Norway does not formally participate in Brussels decision-making but has incorporated around 75% of EU law into its national legislation. And there’s the big elephant in the room: immigration. The public’s desire to control immigration was arguably the biggest driving force for Brexit, and the UK government has vowed to end the free movement of EU citizens. EEA members are required to accept the EU’s four freedoms, including the free movement of people. Clearly, this would be politically dangerous for any government, and for that reason is probably a non-starter. Very unlikely. Theresa May doesn’t favour it because it would force her to retain free movement, and many Tory MPs would vote against such a deal in parliament. The polling does show, however, that more and more people see a close relationship with the EU as a positive thing as the cut-off date for a Brexit deal approaches. 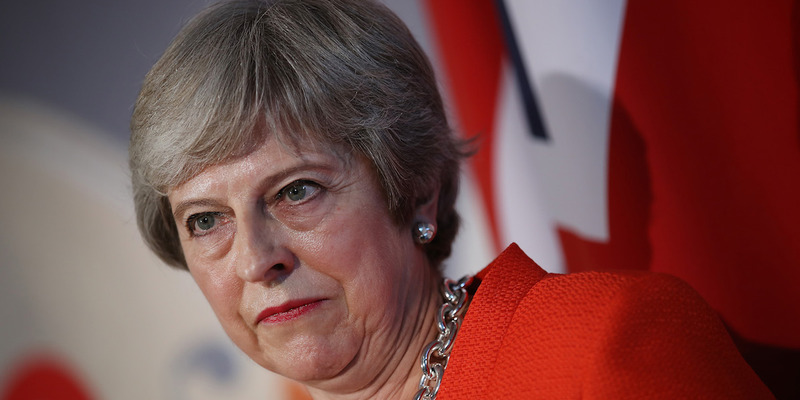 Whether that deal takes the form of a revised version of May’s Chequers proposals or an agreement on the EU’s terms will be determined in the next few weeks. The EU’s chief Brexit negotiator Michel Barnier is currently drafting the political declaration and both sides are working to thrash out a deal on the Irish border. Both sides hope to agree on the final deal by November, but one or both sides will need to make big concessions before that happens.